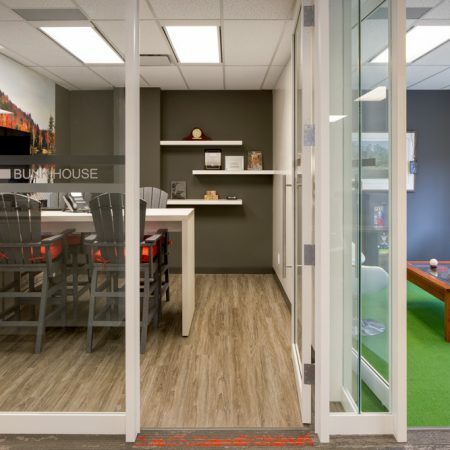 This unique themed space is functional and inviting. 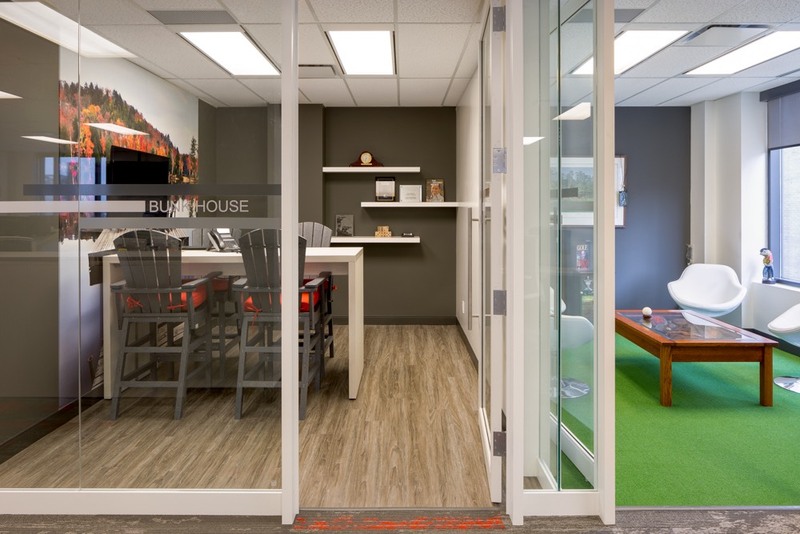 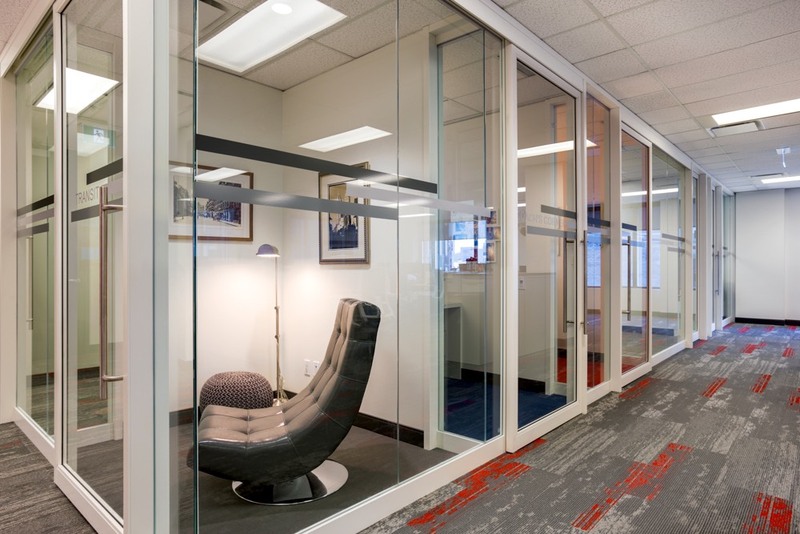 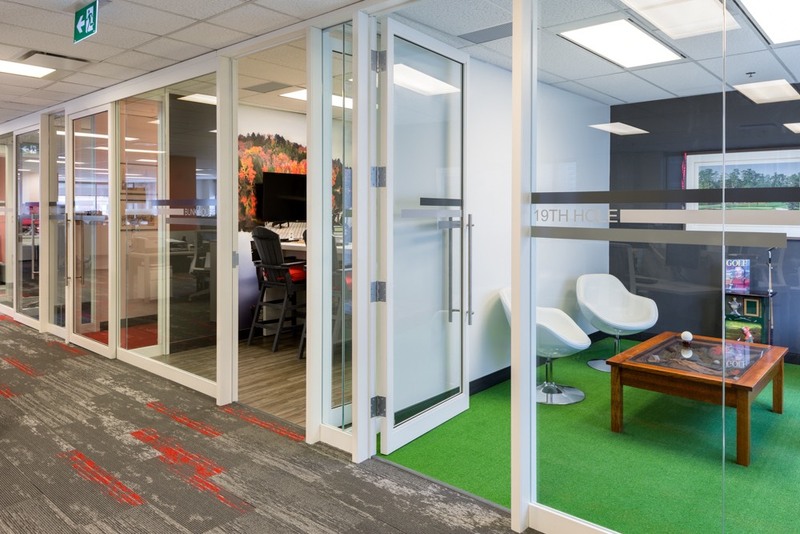 Open areas boost collaboration while glassed in private offices allow people to focus their undivided attention when necessary. 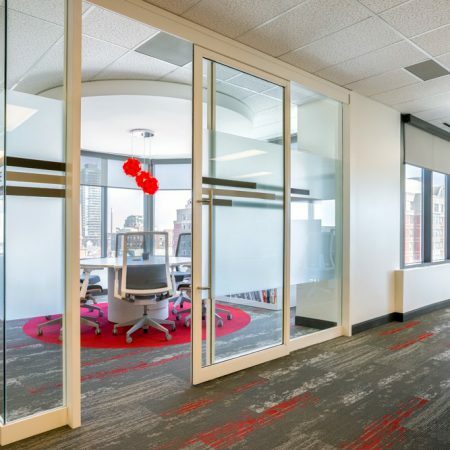 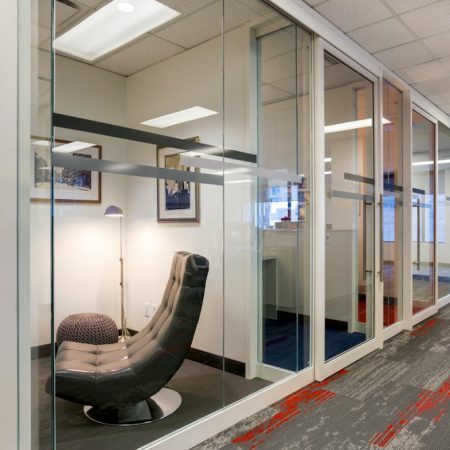 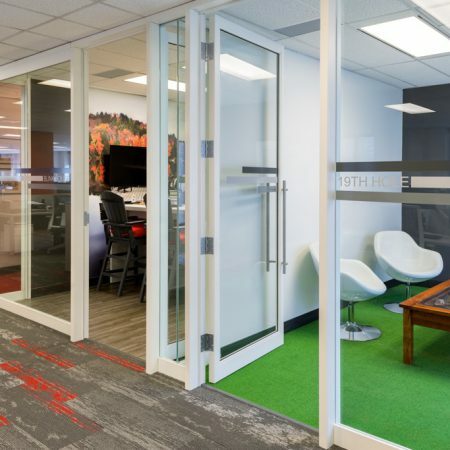 The pearl finish frames compliment the bold colours and interesting themes throughout the space making this working environment imaginative and dynamic.